Stay and Relax after a Redwood Coast excursion at Alder Flat. This all new accommodation features two bedrooms each with one queen bed, one bath, a full kitchen with modern amenities and new appliances, washer and dryer, a fireplace, a private back patio with seating area, large flat screen television, ample dining and breakfast bar, and is close to the beach, Redwoods, hiking and more. Available at 30 night minimum. 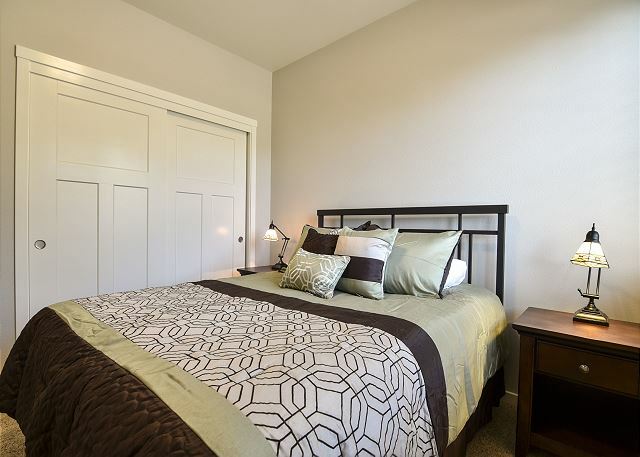 Call North Coast Furnished Rentals at 707-445-9665 to inquire. This accommodation is part of the Mad River Suites which feature a variety of complete accommodations. 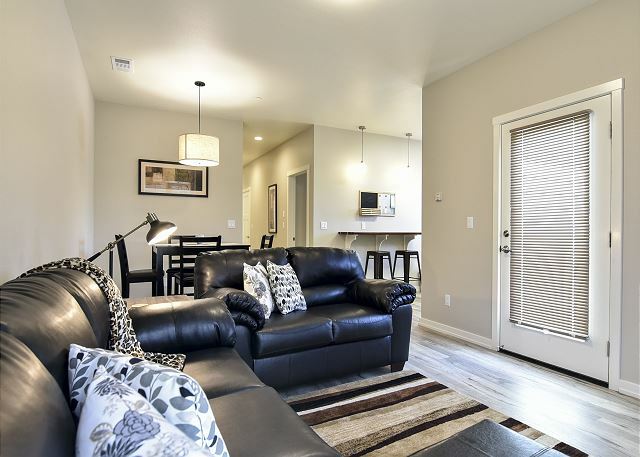 Located in a new building constructed in 2016, Alder Flat was completed with care and consideration. 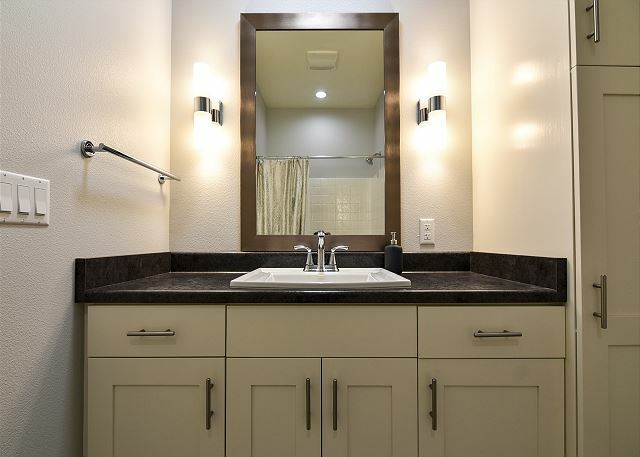 From the base boards the light fixtures, everything is new with custom features and high design. 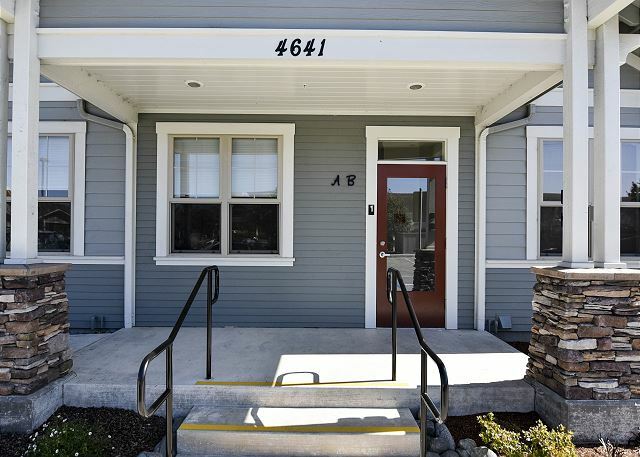 Located in Valley East, as sub-development just 2 miles north of Downtown Arcata. 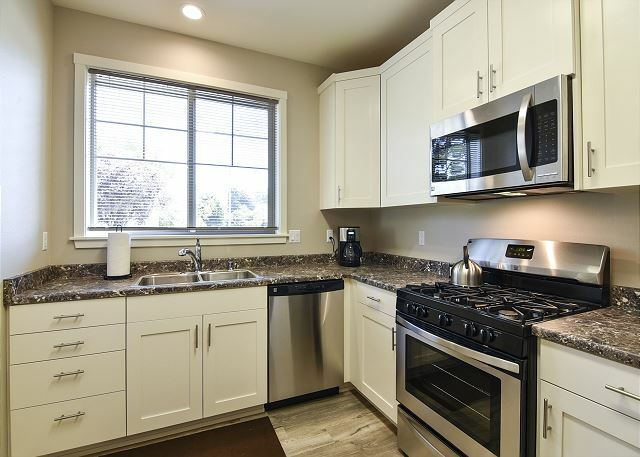 Close to HSU, Mad River Hospital, the Arcata plaza, Arcata’s Redwood Park, the Hammond trail, Shopping, Dining and more. Arcata is centrally located on the Redwood Coast just 10 miles south of the breathtaking beaches in Trinidad, 30 miles south of Redwood National Park, and 45 miles north of Humboldt Redwoods State park. Experience all the Redwood Coast has to offer at Alder Flat. This will be our third stay. Accommodations are clean and well stocked. Thanks for leaving a review of your stay at Alder Flat@Mad River. We look forward to having you back again for a fourth stay, you really seem to enjoy the property as repeat guests, so thanks for the feedback on the property. 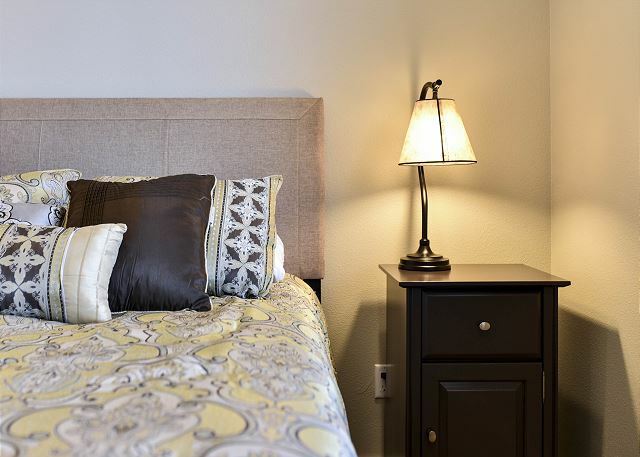 Please look us up at Redwood Coast Vacation Rentals when booking another stay at Alder Flat! We live locally and needed a place to stay for a week while we got some work done at our house. 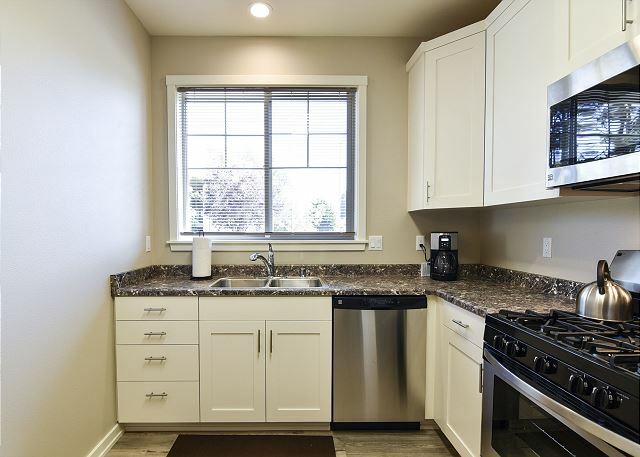 This place had everything we needed to accommodate a family of 4; on site laundry, well stocked kitchen, enclosed outdoor space and walking distance to a nice park. Thank you for leaving a review of Alder Flat @ MAd River, and i'm very happy it worked for your family of four while renovations were being carried out. 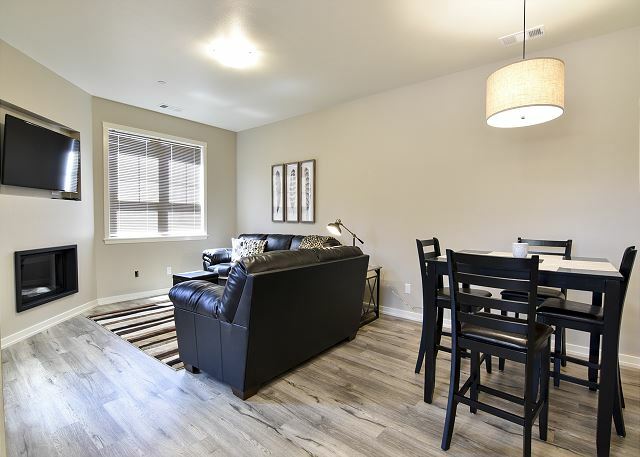 Please let friends and family know who may be coming to town for a visit and are looking for an affordable, clean and fully stocked apartment while visiting. Or direct them to Redwood Coast Vaction Rentals, where there are over 130+ places to choose from, something for every size family or group.Thanks again for your review, we really appreciate the feedback! It may take a little effort to find this condo, but it's worth it. 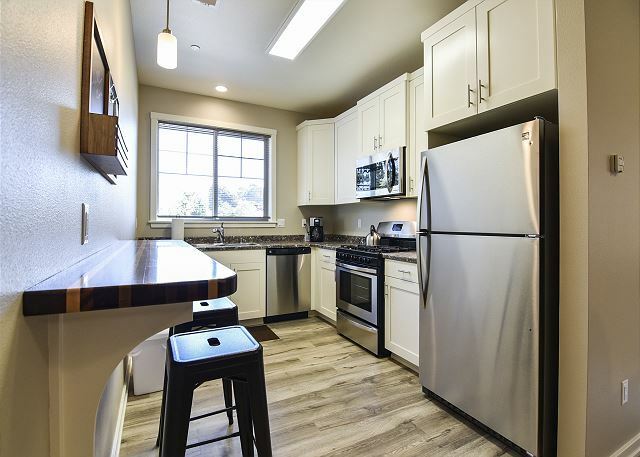 It's clean, quiet, and accessible to HSU and the surrounding Arcata community. Hi Craig, thank you for leaving a review of Alder Flat @ Mad River, I'm sorry to hear you experienced some confusion on where the condominium was. In the future, please call your property manager, we are available to help. Our phone number is on the emails you are sent with the code for entry. There is also an app available with all our contact info as well. I hope you will come back and stay with us again, please look us up at Redwood Coast Vacation Rentals when planning your next trip to the North Coast! Thanks for your review, and apologies for the heat, we will sometimes leave the heat set at a low temp if it's chilly out for guests arrival, and sometimes it warms up outside by the time the guest checks in. And no air conditioning, here in Humboldt County, there is usually no need for it as the temps stay relatively cool. Thanks for taking time to leave a review, it is very much appreciated! Thanks again for staying with us, we look forward to your retun, please look us up atr Redwood Coast Vacation Rentals when planning your next trip to the North Coast! We spent a week at Alder Flat A and it was perfect for our family of four. We were visiting the Redwoods parks and could drive north and south from this location, and have breakfast and dinner in the condo. It is well appointed, new and very nice. The kitchen is very well stocked. 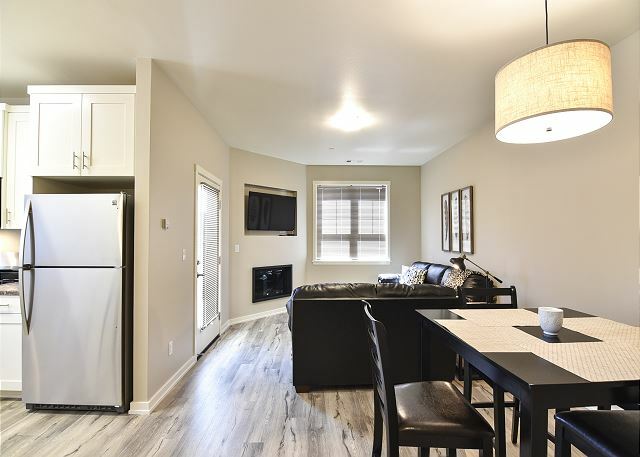 This property was located in a well lit residential and business complex. It appeared to be relatively new. The lock-box check in allowed us to arrive late without having to worry if there would be a problem getting in and it was easy. 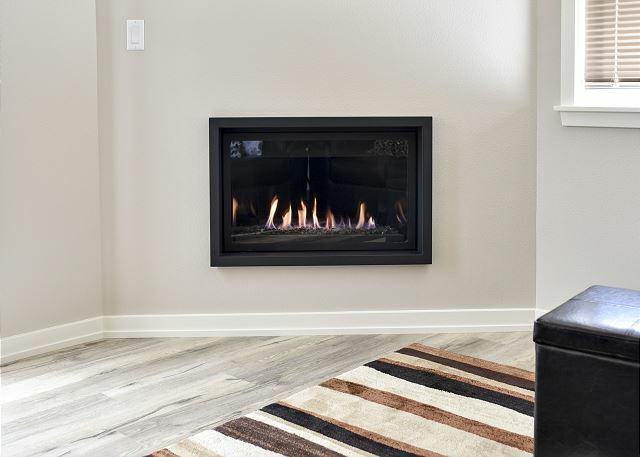 We had 2 minor problems that were taken care of within the same day that we reported them and the agent was very professional in getting needed information from us and providing assurance that the problems would be eliminated. When we had a difficult leaving the keys in the lock-box (our fault), the agent was patient in helping us to finish the lock-box. I would recommend this property to all. Thank you very much for taking time to leave such a thorough and detailed review. We would love to have you back again to Alder Flat, the lock boxes are much easier the second time around! Please look us up at Redwood Coast Vacation Rentals when planning your next trip to the North Coast! The location of the Adler Flats apartment was great for traveling back and forth to all the different locations on our activities list. The apartment was very clean, which is a priority for us. The bath towels were a great quality for feeling pampered after a long day of hiking through the redwoods or coming in from the sandy beach. The kitchen was fully equipped for eating in and the living room cozy enough for watching tv and relaxing. 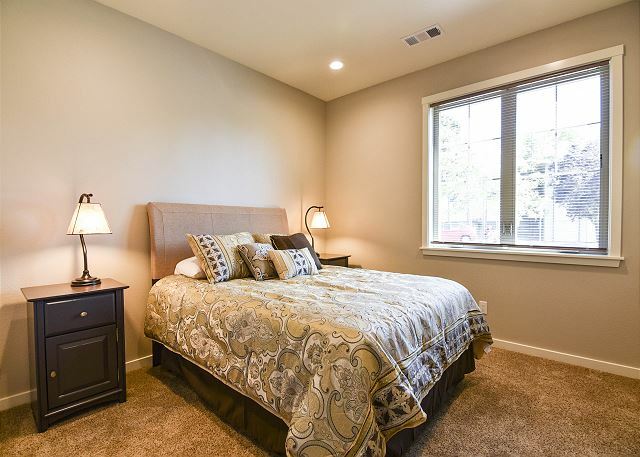 Both bedrooms are a good size with comfortable beds and enough bedding to keep you warm during the cooler nights. We were very happy to have chosen Adler Flats for our stay in the Arcata area. We will definitely stay again. Wow! Thank you! We really work hard to keep or accommodations clean and good repair. We are so glad you loved Alder Flat and we look forward to your return, safe travels. 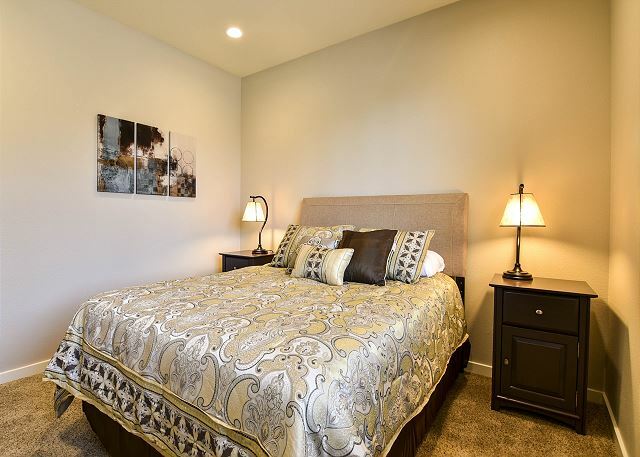 The property was nicely furnished and close to 101 freeway. We especially enjoyed the small backyard patio in the evenings after a long day out. The ‘welcome cookies’ were a nice touch. 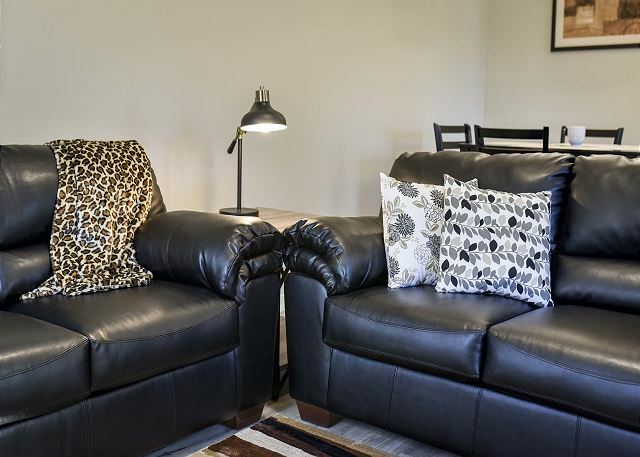 Thank you for your review of Alder Flat, this property has all the comforts of home. I'm so happy to hear it was a good fit for you for your stay in Arcata. We would love to have you back anytime, please look us up at Redwood Coast Vacation Rentals when planning your next trip to the North Coast! And thanks again for leaving a review, feedback is really important to us. Located in a business area near medical offices, it looked like another business office from the outside. Once entered, we were pleased to find a modern, clean and spacious location with all the comforts from home. In fact, it was so nice that i felt compelled to leave it just as clean as I found it. At the time, it was cheaper than local hotels. I hate to give away this secret because I want to possibly book it again. Thank you for leaving a review of your stay at Alder Flat. This property books as a long term rental as well as a short term rental, so happy to hear you loved your stay here! Please feel free to look us up at Redwood Coast Vacation Rentals when planning your next trip and we'll see what we can do for you. Thanks again! This will be our third time staying at this location. We love having you! Thank you for staying with us at Alder Flat, we look forward to having you back to this property soon. It seems you have found a good fit for you, we currently have over 140+ properties, so there is always a good fit for our guests, so happy you found yours! Thanks for taking a moment to leave a review. I stayed here with my wife and parents, we were all very happy with the place. 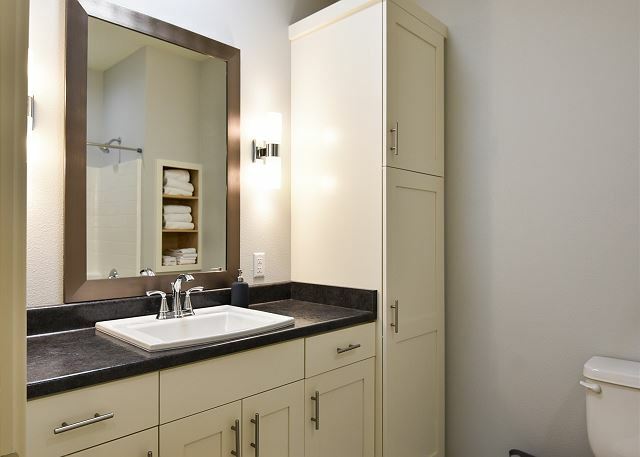 Nice bathroom, comfortable beds and a very functional living/dining/kitchen area. It is part of a commercial office, with one other rental and a couple offices under the same roof. 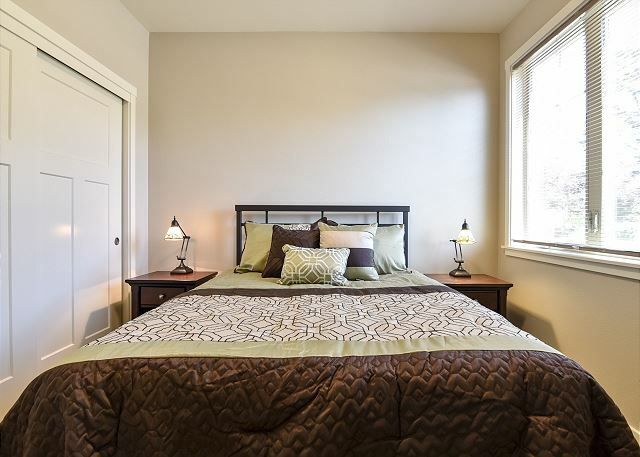 Location was great, ~5 minute drive to campus or downtown Arcata. Easy check in/out with the key dropbox. Only suggestions for the rental would be to add a propane grill to the back patio, as it would be a great place to have a BBQ on vacation. Also it would be nice if the patio/glass door shade was able to open. Thank you so much for you review! We will definitely look into replacing the shade at the back door, and also talk with the owner about adding a grill for those warm summer months, when folks like to grill and enjoy outdoor spaces. Thanks again for your feedback, we really appreciate it! Please look us up at Redwood Coast Vacation rentals when planning your next trip to the North Coast! The Alder Flat is simple, comfortable and has anything one needs fir time away. The manager is very helpful. The condo seems to be a new rental. When I reached out to the manager they were very good about bringing things the condo didn’t have. Thank you so much for leaving your review of Alder Flat. I was happy to be able to help with all requests, that's what I'm here for! I look forward to your return, and hope everyone is healthy and happy. Thanks again for staying with us! Overall very satisfied with our stay. The place felt brand new in all respects. Very clean and well appointed. We had a slight issue with the shower not working on day 1, but the property manager came right over and fixed it very quickly. The location is a bit odd as it seems to be in a business park but to be honest this really wasn't a problem. Thank you for staying with us at Alder Flat! Yes, it is a brand new accommodation with all new everything. Thanks for giving us the opportunity to fix the shower, and for noting that! We look forward to your return to the Redwood Coast Vacation Rentals, a 100+ accommodation management team! Wefound this flat to be one of the nicest places we have rented on the Coast. It was clean, provided us with everything we needed and was close to the highway so we were able to travel without incurring traffic or other problems. We would return without hesitation. This was our 2nd trip in a few weeks to Arcata and have utilized Redwood Coast for previous rentals. They are an outstanding rental company. Its apparent they only take upscale places to offer their clients. 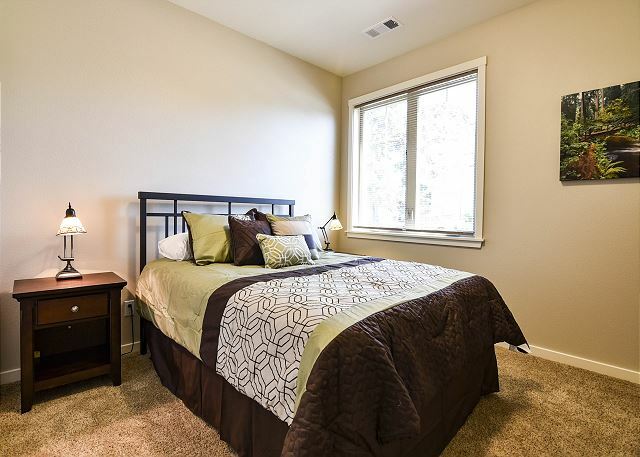 The Alder Flat unit is a great place to stay. Very clean and lots of space. It is in a shared medical building which is nicely done. It was quite and private. Rooms were spacious, and kitchen was well stocked. Our next trip to Arcata or the Redwoods we would definitely stay at Alder Flat again. Thank you so much!! We appreciate you coming to stay and it was so nice having you as our guest. We look forward to your return to Alder Flat!